The business gadgets of 2012 are making instrumental strides in the way business people conduct business in both the office and the mobile work space. The iPad 2012, iPhone 4S and ASUS Prime Transformer Tablet all provide lightweight and powerful solutions for the mobile employee. The MakerBot Replicator printer provides exceptional functionality for business people who need to share three dimensional pictorial representations of their designs. Consider how these four innovative devices can transform the business world. Apple iPad 3 or iPad 2012 provides both business people and physicians with a revolutionary new way to conduct business. The high resolution 2048 x 1536 full touchscreen HD display makes it easier to view and manipulate business applications while in the mobile workspace. 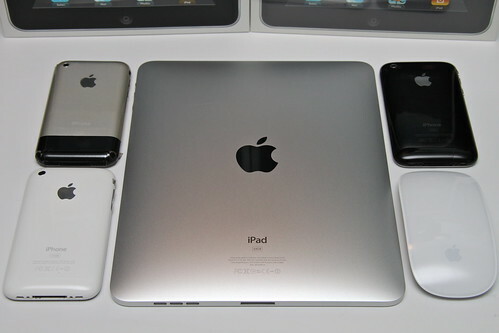 Apple’s iPad 2012 is 20 percent smaller compared to iPad 2 and is more light weight thanks to the lighter and longer lasting battery present in the design. The iPad 2012 features an A6 Quad-core processor. The processor is as powerful as any higher tier desktop. Thus, business people truly get the functionality of a desktop on-the-go. Apple offers numerous business applications specifically for iPad that increase the power of this innovative device. Physicians use it to capture patient information at the point-of-care, and business people use the iPad to capture information about their clients or customers on-site. The flexibility of the device is astounding. The Asus Eee Pad Transformer Prime TF700T tablet features a 1920 x 1200 display. The 10.1-inch LED backlit screen with Super IPS+ features 10-finger multi-touch Corning Gorilla Glass. The Android’s Ice Cream Sandwich operating system and a NVIDIA Tegra 3 Quad-core CPU are coveted by users. The computer features a memory capacity of one gigabyte and storage capacity of 32 gigabytes and 64 gigabytes. This tablet is compatible with a host of Android business applications that expand the capability of this device. Customer relationship management applications and file management systems are some of the most common applications business people can use with this gadget. The iPhone 4S is fully integrable with iPad 2012 applications. The seamless synchronization between devices is coveted by many business people who may use an iPhone 4S, an iPad and a MacBook or other Mac desktop solution. Most applications that are compatible with iPhone 4S will also easily integrate with applications on the device. MakerBot Replicator features innovative 3D printing technology that is useful for printing 3D models and prototypes. The printer costs approximately $1800 and will change the modern business meeting by putting three dimensional models in the hands of every participant. The top four business gadgets of 2012 are piquing the interest of business people in nearly every industry. The power of the devices and the new innovation is improving the efficiency of the workplace. The top four business gadgets are being considered by many companies to improve productivity and accelerate development. Randall Rouse is a business executive and guest author at Busines sMBA, where he contributed to the guide to the Top 10 Best Part-Time Online MBA Programs.